As Chalmers went about his leisurely ways he stumbled into the valley of the shadow of death. His brother and sister died of tuberculosis in 1806 and 1808 respectively. As the “clergyman” in the family he had to pastor them in their dying days. His brother asked Chalmers to do something that was distasteful to him, read aloud puritan sermons to him! His sister asked him to do something even more uncomfortable, namely sing the psalms to her! Over this period he sang through the Psalter 5 times to her. Challenge: I love stories like this. Perhaps somewhere around Cambridge there is someone labouring in a parish, confused in unbelief, whom God will use, like Chalmers, to awaken a nation. May it be our prayer. A passion was ignited in Chalmers heart for the Bible. Before his conversion, one of the members of his congregation said to him: “I find you aye busy, sir, with one thing or another; but come when I may, I never find you at your studies for the Sabbath.” “Oh!” said Chalmers, “an hour or two on the Saturday evening is quite enough for that.” But regarding the converted Chalmers the same man said, “I never come in now, sir, but I find you at your Bible!” To which Chalmers responded: “All too little, John, all too little”. Challenge: Perhaps we lack Chalmers success because we lack his acquaintance with the word of God? This love of the bible became evident as Chalmers threw himself wholeheartedly into the work of the emerging bible society movement. Remember the Bible Society began in 1804 in London, and the Scottish Bible Society was founded in Edinburgh in 1809. Embracing the new, the innovative, never troubled Chalmers. As well as the work for Bible Societies, and related to it, was Chalmers passionate attachment to mission and the emerging missionary societies. In 1813 he published a sermon “The two great instruments appointed for the propagation of the Gospel.” This was a powerful sermon on the text “faith comes by hearing, and hearing by the word.” Here is his conclusion: “Those to whom Christ is precious will long that others should taste of that preciousness. Those who … [rejoice in] the sufficiency of the atonement will long that the knowledge of a remedy so effectual should be carried around the globe … In a word those who love the honour of the Saviour, will long that his kingdom be extended till all the nations of the earth be brought under his one grand and universal monarchy – till the powers of darkness shall be extinguished – till the mighty Spirit which Christ purchased by His obedience shall subdue every heart, shall root out the existence of sin, [and] shall restore the degeneracy of our fallen nature…” As a result of this he became a director of the London Missionary Society. 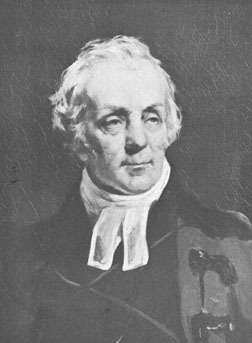 In his famous sermon on “the common people heard him gladly.” Chalmers said that “We hear of the orator of fashion, the orator of the learned, the orator of the mob. A minister of Jesus Christ should be none of these; and if an orator at all, it should be his distinction that he is an orator of the [whole] species.” That was his goal, to speak to all in his age, what ever their station in life. – “By far the most effective ingredient of good preaching is the personal piety of the preacher himself.” This is the “spiritual conviction” that was identified as the key to his preaching. So when Chalmers arrived in St Andrews, destined by his father for the gospel ministry, he encountered the chilling and deadly atmosphere of Moderatism. Chalmers said there that he “inhaled not only a distaste only, but a positive contempt for all that is peculiarly gospel.” When Chalmers finished his studies he eventually was called to the be pastor in Kilmany. At this stage he is unconverted with, as he said, a “contempt” for what he later embraced as the gospel. He rejected the substitutionary atonement of Christ, “The tenets … that the Author of Nature required the death of Jesus for the reparation of violated justice are rejected by all free and rational enquirers.” He rejected justification by faith alone, “Let us tremble to think that anything but virtue can recommend us to the Almighty.” And this he did as one who subscribed to the Westminster Confession. “Thomas Chalmers as all the world knows, was born in the Fifeshire town of Anstruther in the year 1780” If that was true in 1908 when William Beveridge published his “Makers of the Scottish Church” what a change the past 100 years have seen. In his own timeframe Thomas Carlyle called him “The chief Scotsman of his age,” he even came to the notice of Karl Marx who labelled him the “arch parson.” When he died it was said that though it “was the dust of a Presbyterian minister which the coffin contained; and yet they were burying him amid the tears of a nation, and with more than kingly honours.” But today, a forgotten and largely neglected figure. And that is nothing short of tragedy. Perhaps there are two reasons. First, was that he addressed the practical problems as well as the spiritual and so wrote a number of works which are heavily dated. Even I struggle to get overly excited by works like “On Political Economy in connection with the Moral State and Moral Prospects of Society” with chapters like “On the Increase and Limit of Food”. Nor is a work like “On Cuvier’s Theory of the Earth” going to grab my attention. And because he wrote on social, and other themes secondary literature on Chalmers has often focused on these areas … perhaps creating the impression of a man who spoke to his time but does not have much to say to ours. Second, perhaps some who we might expect to warm to Chalmers are put off because of his view of the relation between science and Scripture. Chalmers for example accepted, and it is fair to say enthusiastically accepted, the views emerging in his day over the old age of the earth. Now, later I am going to be critical of Chalmers on this topic. But we shouldn’t throw the baby out with the bathwater, and ignore Chalmers because of this. I remember a few years ago I was talking to someone at a church. He asked who I was reading. I said Thomas Chalmers. He looked and said “he was a raving liberal.” While we have to wrestle critically with Chalmers here, to call him a liberal is a tragedy. Now, it is going to be hard to look at Chalmers in a brief evening discussion. His life moves from being a minister in a rural church, to leading large city congregations, to being a professor of moral philosophy, to being a professor of theology. He leads over 1/3 of the Church of Scotland out of the denomination to form the Free Church of Scotland and launches a massive church building programme and sets in place the structures to support the church. All the while he maintains his interests mission, science, economics, education and poverty relief. To cover even half of this adequately is not remotely possible. What we will try and do is look briefly at his life and draw lessons from it as we go through. Weekly Update 44 – Good will toward men? No, it’s not that time of the year already! This post is about a sermon from the great Scottish preacher and theologian Thomas Chalmers entitled “On the Universality of the Gospel Offer” based on the words of Luke 2:14 (Thomas Chalmers, Sermons and Discourses, New York: Robert Carter, 1844, Vol 1, 234-241). 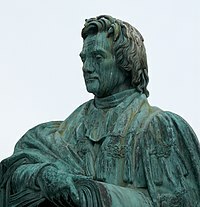 Why post on Thomas Chalmers? Well he is a significant figure in his own right and worthy of study. But more importantly he illustrates the way the disruption Free Church of Scotland understood the free offer of the gospel. There are two things necessary to understand how a creed functions within a church. First, it is necessary to understand the original intent of the confession. This is what I am looking at in my thesis. But in order to understand fully how a confession functions within a church it is necessary also to consider the animus imponentis or the intention of the church subscribing to the creed. Thomas Chalmers helps us to understand the intention of the disruption Free Church in confessing that Christ is “freely offered in the gospel” (WCF 7:3). Chalmers expounds on this good will in the gospel offer under three headings which we consider in turn. Chalmers here notes that it is a work of “greater difficulty” than might be expected to get sinners to accept the truth of “God’s willingness to take every sinner into acceptance” noting “there is a barrier in these evil hearts of unbelief, against the admission of a filial confidence in God.” (p236). This is a great tragedy for “If you saw the good-will of God, in all that kindly and endearing character which belongs to it, you would find a treasure in which you would greatly delight yourself.” (p236). This is of relevance for those who are “smitten and softened under a sense of unworthiness” and yet cannot obtain a sense of God’s goodness to them. Even though true in general, this goodness of God is particularly suited to help smitten sinners for it is those who feel sin who will seek a Saviour, “He pleads the matter with you. He beseeches you to accept of reconciliation at His hand. He offers it as a gift, and descends so far as to knock at the door of your hearts and to crave your acceptance of it.” (p237). Note the evangelistic use of Rev 3:20, the description of the offer as God “beseeching” and “craving” acceptance. Chalmers argues that “much is to be gathered, from the general and unrestricted way” in which Luke 2:14 is stated. In particular “the generality of the term may tell us that no one individual needs to look upon himself as shut out from the good-will of his Father in heaven. Let him be who he may, we cheer him on to confidence in God’s good will to him…” (p237). Chalmers insists, “We see no exception in the text; and we make no exception from the pulpit.” (p237). The universality of the gospel offer means that, “If the call be not listened to, it is not for want of kindness and freeness and honesty in the call… There is no straightening with God. It is all with yourselves.” (p238). Chalmers explains the good will in the gospel offer as follows, “Turn ye, turn ye, why will you die? We speak in the very language of God, though we fall infinitely short of such a tone and of such a tenderness as He has over you. If you think otherwise of God, you do Him an injustice.” (p238). But there is of course a question to be answered, “how does the declaration of God’s good-will in the text, consist with the entire and everlasting destruction of so many of the species?” (p238). In answer to this question we are to understand, first, that “the good-will of the text, consists, not in the actual bestowment of eternal life upon all” – for that would be inconsistent. (p239). Rather the good will is “the holding out, in this world, the gift of eternal life to the free and welcome acceptance of all”. (p239). Because of this there is no inconsistency. For example, “We hold out a gift to two people, which one of them may take and the other refuse. The good will in me which prompted the offer, was the same in reference to both. God in that sense willeth that all men shall be saved.” (p239). There is no inconsistency here. Also, note that for Chalmers it is perfectly acceptable to speak of God willing the salvation of all. Chalmers ends this section by urging, “Be assured every one of you, that God has good will towards each and towards all. There is no limitation with Him; and be not limited by your own narrow and fearful and superstitious conceptions of Him.” (p239). The doctrine of the free and well meant offer is the doctrine of the Free Church’s foremost founding father. May this doctrine always be the staple of the Scottish pulpit! As an aside, Steve Carr has an interesting post on this verse over at Beholding the Beauty – it can be found here.